Dili (Agenzia Fides) - Although it is going through a turbulent political phase and its newborn government is in difficulty, Mari Bin Amudi Alkatiri is a Muslim Prime Minister who leads a country with a large Catholic majority. In office since September 2017, the difficulties encountered today are political and economic (the budget law, the employment of young people, the negotiations with Australia for the exploitation of oil) have nothing to do with religion. Good sign of pluralism and maturity in a young nation (independent since 2002) and 60% of the population is under 25 years of age. This is what Acacio Pinto, a young Timorese Catholic researcher, expert on economic and social issues explains to Fides: "East Timor, with about 97% of Catholics, is the most Catholic country in Asia, in percentage terms. However, the country is not theocratic or does not adopt the Catholic faith as a state religion. The Constitution recognizes the contribution of the Catholic Church to the self-determination of the people, but maintains the principle of freedom of religion. Therefore the fact that current Prime Minister Mari Bin Amudi Alkatiri is a Muslim from the historic Revolutionary Party of Timor-Leste Independent (Fretilin) is not a problem. 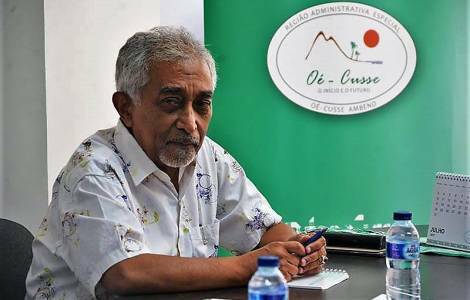 This is his second term as chief executive: the first was when Timor-Leste re-established its independence in 2002; even if Alkatiri decided to resign in 2006 due to political and military unrest". Pinto continues: "Despite having a religious faith different from that of the majority of the population, in a pluralist society like that of East Timor, Alkatiri has not encountered prejudices on behalf of the main political parties or leaders. His management skills, as well as his reputation for being attentive to fiscal policies, have attracted many citizens, including leaders of the Catholic Church. Bishop Basilio do Nascimento, at the head of the diocese of Baucau, for example, commented favorably on the fact that Alkatiri is the Prime Minister of the country".